Every once in a while the Type-Moon Weekly News Roundup picture is mostly just to make me happy. This is one of those weeks. Wear Your Shame in Public! 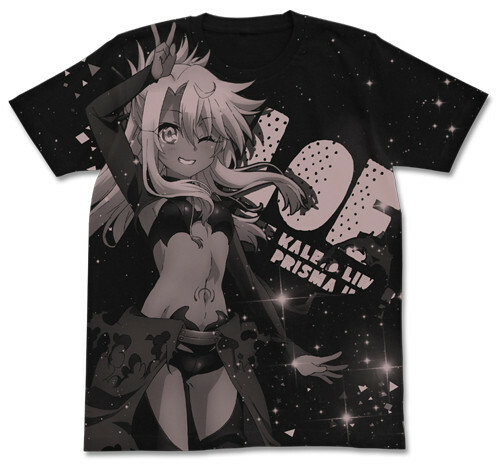 You can get yourself on a list by wearing a shirt of either Illya, Miyu, or Chole. A look at the sprites from Fate/Grand Order all in one place with some special attention given to their final forms. You can now watch the video for the opening song of Fate/kaleid liner Prisma Illya 2wei Herz! Now You Can Also be a Saber Clone! COSPATIO has released a rather impressive Saber outfit that has her dress and armor. You just have to pay an arm and a leg to get in piecemeal. With summer wrapping up Twitter has lots of festival art for Fate/Stay Night. 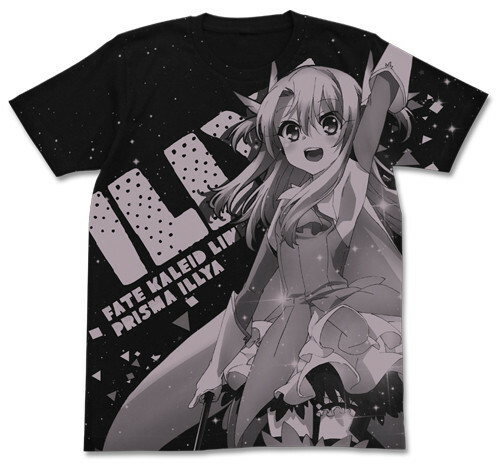 The Cure Maid Cafe has a Fate/kaleid liner Prisma Illya 2wei Herz! collaboration with themed dishes and merchandise. 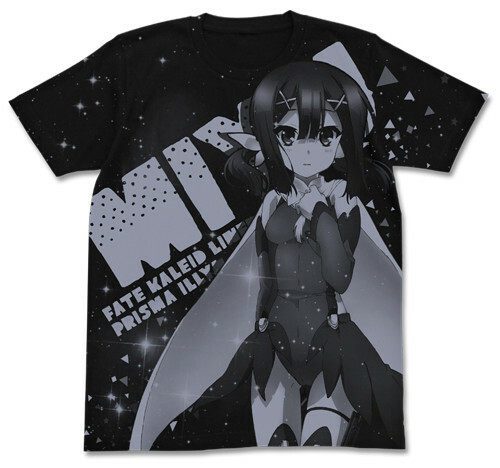 The problem is I do not see enough maids on the merchandise. You have Sella and Leysritt but the maid cafe mostly ignores them. For shame. If they ever do something for the Tsukihime Remake they better not slack in the same way. Archer and Lancer body wash is the only way to clean yourself in a properly manly fashion. Iskandar body wash would be too powerful for mere mortals and Kate buys up all the Gilgamesh body wash.
Am I the only one slightly disturbed by the art of the new Fate/Grand Order comic? Sentai Filmworks has licensed Fate/kaleid liner PRISMA ILLYA 2wei Herz! An account of the Type-Moon booth at Comiket 88. It is much easier to recommend The Garden of Sinners when it is in print. It is still crazy expensive but at least it can be obtained.